Isn’t it strange that natural modalities used not to cure illness (although they do that, too), but to maintain health are thought of as ‘alternative,’ yet chemical drugs and invasive surgery are considered mainstream health care?" However, what’s telling is that the vet features in the article, Jenna Mize, who works out of Austin, admits to insufficient science. “The problem is there isn’t data on vaccines and older dogs, the science isn’t there, the research isn’t there,” she said. If you think about it, the vaccines contain the live virus, albeit modified, and they are designed to weaken the dog’s immune system, as that is how they are supposed to work – well, that’s the theory. And if that weren’t bad enough, many vaccines contain multiple viruses – anywhere from four to seven or eight at a time. Finally, and perhaps most worrying of all, is the fact that research has now shown that all vaccinations, not just Parvo ones, can weaken your dog’s immune system. This means that your dog will be more likely to become ill in the future. Other side-effects of vaccinations include chronic inflammation, which will cause the obvious issues such as arthritis, but inflammation has now been proven to be a leading cause of cancer. vaccine injection sites.3 The fact that cats can get vaccine-induced cancer has been acknowledged by veterinary bodies around the world, and even the British Government acknowledged it through its Working Group charged with the task of looking into canine and feline vaccines4 following pressure from Canine Health Concern. What do you imagine was the advice of the AVMA Task Force, veterinary bodies and governments? "Carry on vacci­nating until we find out why vaccines are killing cats, and which cats are most likely to die." In America, in an attempt to mitigate the problem, they're vac­cinating cats in the tail or leg so they can amputate when cancer appears. Great advice if it's not your cat amongst the hundreds of thousands on the "oops" list. Are you still feeding your pets GMOs? 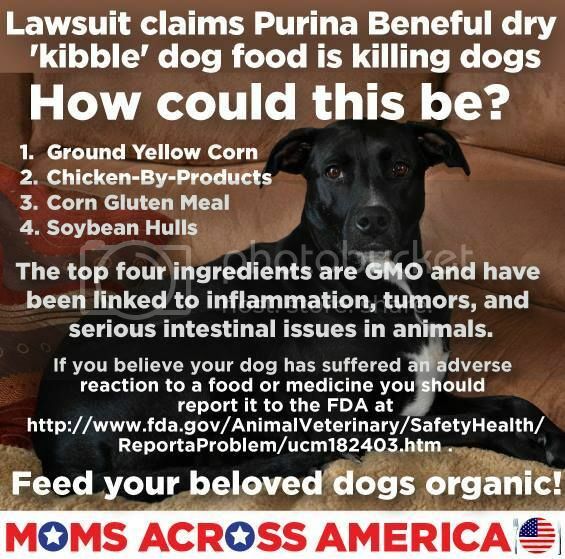 Many pet owners have connected the increased usage of GMOs with what appears to be an increase of tumors and health issues in dogs and cats. I thought that this thread was about GMOs. Not Vaccines. As I explained in the other thread, Glyphosate, a/k/a Roundup, sprayed on conventional and gmo crops has been found in vaccines. (See my posts from Samsel and Moms Across America). The same ingredients are used in making all vaccines, including vaccines for our pets. You can check out facebook pages for Dr. Karen Becker, DVM and Dr. John Robb, DVM, Dogs Naturally and many others. Stephanie Seneff, MIT Scientist is a great page to follow as well. No, a high titer indicates overdosing and over vaccination! Yes, we are entering into a new era by checking circulating antibodies, a blood titer, to protect the pets. This is occurring because pet owners are educating each other to drive the change. Since it’s known that vaccines cause adverse events, some of which lead to death, pet owners are demanding change and want vaccination protocols do be done in the safest manner possible. This means the lowest dose and lowest number of vaccines to produce protection, easily measured by a blood titer, and stop there! The blood titer is the only correlate with immunity, and there is no medical benefit to repeatedly vaccinating pets who already have achieved immunity and pushing the titer higher. It’s malpractice to put a pet at risk of sickness or death injecting them with a booster vaccines that have no medical benefit! When Titers are as Karlee’s > 15 IU/ML it shows their immune system has been assaulted by over vaccination. A pet with a titer of 0.1 IU/Ml, the lowest level of circulating rabies antibodies we can measure, is immune to rabies. It’s YES or NO, Immune or not. Pushing a titer to greater than 15 IU/Ml by repeatedly boosting with vaccines, does not make the pet more immune but it will sicken the pet with immune mediated disease, cancer, neurological disease, behavioral changes, chronic allergies and some will die- all due to dis-regulation of the immune system from over vaccination. Pet owners who trusted the veterinary establishment were indoctrinated into a system of animal abuse by overdosing, over vaccinating and inappropriately vaccinating pets for pure profit motives. This has gone on for more than 30 years!! Short video by Vet Becker discussing over vaccination and titers. Please Welcome Dr. Hayek a great new addition from the state of Texas! What inspired you to join PTP? World Renowned Dr. Jean Dodds Joins the Growing List of Veterinarians Uniting to Protect The Pets! While we have been taught the Hippocratic Oath to “do no harm”, our initial education and continuing education continues to embrace overdosing vaccines for tiny pets, over-vaccination when not needed, and inappropriate vaccination for pets known to be at risk for adverse effects (vaccinosis). In my opinion, this stems primarily from the misguided opinion that regular booster vaccinations are needed and innocuous, while sustaining practice viability from reminding clients to seek regular veterinary preventive care and checkups for their pets. When I began practicing in 1985, I believed vaccines caused no harm. But with time it became apparent there were problems. I reached out to Dr. Dodds in the late 80’s and early 90’s. She revealed the facts-based truth and legitimized my concerns. I know she has helped countless vets to stand up for the truth and live their Oath. Dr. Dodds has and continues to help untold number of pet owners protect their pets! It’s a proud day for all! Please officially welcome Dr. Dodds to the Protect The Pets Movement! It’s all about the titer! Some excellent data showing one rabies vaccine, followed by serial Titers. Not one pet needed another vaccine! The Titers never dropped below 0.1 IU/ml! One rabies vaccine can give protection for life! The key is safe vaccination- lowest dose and one vaccine- produce a protective titer, and stop there! Periodically check the circulating antibodies, a blood titer. As long as it’s 0.1 IU/ml or greater, never vaccinate again. The pet is immune and can’t get rabies! 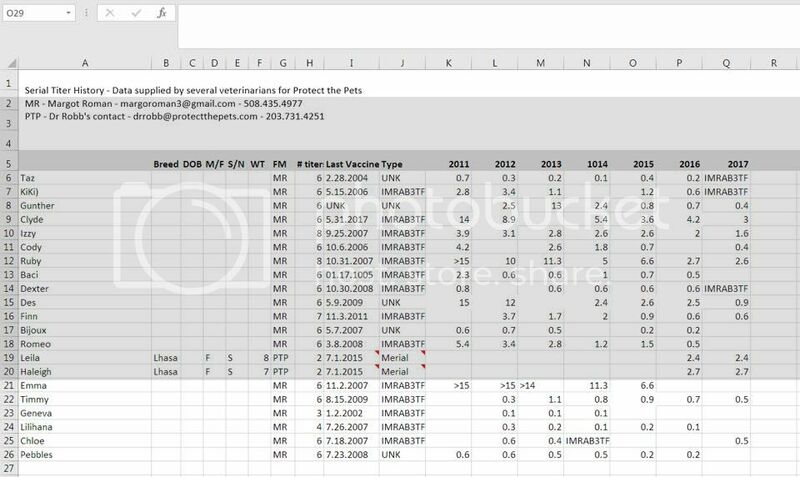 Campaign group Moms Across America (MAAM) has announced that a study it commissioned found tiny traces of glyphosate in five vaccines: influenza, MMR, pneumococcal, hepatitis B and T Dap. However, the testing method used by MAAM’s contractor, St. Louis-based company Microbe Inotech, has been challenged by experts as it is not accurate when measuring anything at very low concentrations. These experts – including Peter Davies, emeritus professor of plant biology at Cornell University in Ithaca, New York – warn against the testing method called ELISA, which is short for enzyme-linked immunosorbent assay. ELISA is a fast method for determining the concentrations of chemicals by using a pairing of radioactive labeled antibodies. Often used for determining levels of cholesterol in blood, the test is not, however, accurate at measuring anything in the low parts per billion. Professor Davies says the more accurate methods of measuring volumes in such a minute range would be techniques called gas chromatography and mass spectronomy, or GC/MS. Chemicals are ionized and the then-electrically charged chemical is measured by its mass and charge. This is a long and expensive procedure, but extremely accurate. Everything that regulatory agencies and scientists know about glyphosate show the outcome of the MAAM-commissioned study is extremely questionable. In an interview with the Genetic Literacy Project, Davies said: ‘At 1-10 parts per billion it is easy to think you are analysing a specific compound when in fact you are tracing some other compound. So unless I saw the full mass spectra to at least two decimal places I would say that glyphosate is not proven, and few labs have that degree of sophistication. ELISA was developed as a fast and inexpensive way to screen water samples to decide on whether further testing would be required. A positive result on water in an ELISA test simply indicates that a more expensive and complicated test is required for confirmation as this method has been know to produce false positives. This screening test has been shown to be effective when used on water, but not food, beverages, or vaccines. The MAAM study has not been released for review and has not appeared in a peer-reviewed scientific publication, another gold standard for assessing credibility. Instead, its results were shared online without supporting peer reviewed publication and were picked up by activist sites such as Natural News and Vaccine-Injury Info. This was supported by Stephanie Seneff and Anthony Samel, two scientists known for papers alleging the dangers of glyphosate – blaming it for causing illnesses ranging from Alzheimer’s to cancer, all claims that have been debunked by independent studies and regulators. Previous claims by Seneff and Samel have been discredited by glyphosate studies using the preferred mass spectrometry instead of the ELISA method, including an independent report in 2016 by scientists affiliated with the independent German Federal Institute for Risk Assessment (BfR), which does risk assessments for the European Commission. BfR joined both the US Environmental Protection Agency and the European Food Safety Authority in finding no harm from glyphosate. As well as being extensively reviewed and approved for use, glyphosate (a herbicide that inhibits a pathway found in plants but NOT in humans or animals) has a 40-year history of safe use. Everything that regulatory agencies and scientists know about glyphosate shows the stated outcome of the MAAM-commissioned study is extremely unlikely. Glyphosate is either not present in vaccines, or is at such low levels as to be undetectable using the ELISA method. There is no credible evidence demonstrating the presence of glyphosate in vaccines. Senef attended MIT, earning her bachelor of science in biophysics, a master's in electrical engineering, and a doctoral degree in computer science. In 2011, Seneff began publishing research on topics related to biology and medicine in low-impact, open access journals, such as Interdisciplinary Toxicology and eight papers in the journal Entropy between 2011 and 2015. According to food columnist Ari LeVaux, Seneff's work in this area has made her "a controversial figure in the scientific community" and she has received "heated objections from experts in most every field she’s delved into". In 2013, she coauthored a paper that associated the herbicide glyphosate with a wide variety of diseases such as cancer and disorders such as autism. Discover magazine writer Keith Kloor criticized the uncritical republication of the study's results by other media outlets. Jerry Steiner, the executive vice president of sustainability at Monsanto, said in an interview regarding the study that "We are very confident in the long track record that glyphosate has. It has been very, very extensively studied." Seneff's claim that glyphosate is a major cause of autism and that, "At today’s rates, by 2025, half the kids born will be diagnosed with autism," has also been criticized. For example, the Pacific Standard noted that, contrary to Seneff's claims, many scientific reviews have found that the rise in autism rates over the past 20 years is due to changes in diagnostic practices, and that a number of studies, including a 2012 review in the Journal of Toxicology and Environmental Health, have found little evidence that glyphosate is associated with adverse development outcomes. Seneff and her MIT colleagues have also done research on the health impacts of fat and cholesterol consumption in America. Based on this research, Seneff claimed that Americans are suffering from a cholesterol deficiency, not an excess. In 2014-2016 Seneff served as an expert witness for litigators seeking damages from Pfizer associated with their cholesterol drug Lipitor. On June 14, 2016 Dr. Seneff and six other researchers presented their studies on Capitol Hill in a meeting incorrectly touted as a Congressional hearing. Presenters claimed that the US, with 5% of world's population, consumes 50% of the world's drugs and that US citizens consumed 25% of world supply of glyphosate. Clinical neurologist and skeptic Steven Novella criticized Seneff's Entropy publication for making "correlation is causation" assumptions using broad statistical extrapolations from limited data, saying "she has published only speculations and gives many presentations, but has not created any new data". Scientists and scholars such as Derek Lowe, a medicinal chemist, and Jeffrey Beall, a library scientist known for his criticism of predatory open access publishers, have separately criticized Seneff's paper for misrepresenting the results and conclusions of other researchers' work. Lowe and Beall also noted that Entropy and its publisher, MDPI, have a known history of publishing studies without merit. A 2017 Review Article written by Kings College of London researchers and published by Frontiers in Public Health called Seneff's glyphosate health-risk research claims "a deductive reasoning approach based on syllogism" and "at best unsubstantiated theories, speculations or simply incorrect." And, Consumers Union senior scientist Michael Hansen characterized Seneff and her glyphosate claims as "nutty," "truly unhinged," and "dangerous." The first link is an article from 2013!!! Lots has happened since then, they've written more Papers. The newest one on bile acids, which will be of interest to those folks who have lost their gall bladders is coming out this year. Also, I've posted Seneff's credentials many times. She is a genius. She has always been interested in biology. You need to consider the sources and who is funding them. Seneff's work is funded by a computer company. You can search back in the other thread and find the video where she explains her funding source, her interests, her transition BACK to biology and WHY she made that transition. Samsel is retired, self funds his own research and takes donations from the PUBLIC. Do you notice Seralini's 2017 study that showed that the "other" ingredients in glyphosate is 1,000 times more toxic than glyphosate. Did you take the time to read and watch any of the information I posted? I could spend all night listing the scientists for you but I've already done that in the other thread and I'm not redoing the work for someone who will never believe it anyways. The second article you listed is so unprofessional and just nasty. Nasty and mean, that's all they have. They can't show us any independent, non industry funded science proving their food is safe. Folks figure it out when they or their kids become ill. As I did, they research, change their family's diet and see what happens for themselves. This is how Moms Across America got started, by mothers whose children had severe reactions to food and they wanted to know why. This is why there is such a huge movement in the world to stop gmo seed, food, and all poisons sprayed on our food. Us Mothers did the research, made the changes and we healed ourselves and our children. This is why you see all sorts of products in stores now with the Non-Gmo Verified Butterfly logo. This is why you see the organic sections growing at grocery stores. Even Wal-Mart couldn't ignore the movement and they wanted in on the big money too, so Wal-Mart has their own organic line. Aldis is carry new organics all the time: milk, cereal, eggs, bread, pizza. Duh, you don't have to be a rocket scientist to figure out that consumers drive what grocers carry in their stores. Believe me, this is NOT something I enjoy doing. It is complicated, time consuming and when you finally get the big picture, it affects your outlook on life. You have a right to believe what you want. If you want to eat gmo food and inject toxic vaccines into your body, go for it and good luck. But if you start to sneeze a lot, get an allergy, a rash on your skin, pain in your stomach, heart burn, prediabetic systems, chrones, IBS, to list just a few, you might want to read a little more than the garbage you listed above. Puppy and kitten vaccine protocol. There is no one size fits all protocol. It takes a morally sound educated Veterinarian and an informed pet owner to look at each pets circumstances and risk factors to determine the best vaccination protocol. Single antigen injections is key. For puppies for instance, they should only get a single antigen Parvovirus injection and a single antigen distemper vaccine, just like rabies is single antigen. Just as with human infants, puppies and kittens should be home bodies for the early part of their life. Their immune system must develop and mature before being put in situations that could expose them to infections disease or be given vaccinations. The worst places to take a puppy or kitten would be places that large numbers of cats and dogs congregate, including dog parks and veterinary hospitals. Obviously if there is a medical need, this changes the risk factors, and common sense always enters into the equation. Dr. Thomas Fredenhagen, Kingsley Animal Hospital, Florida. Dr. Judy Morgan, Clayton Vet Associates, New Jersey. A nationally renowned author and veterinarian, Dr . Morgan is a blessing to pets and pet owners all over the world! World Renown Dr. Karen Becker, Burnside Veterinary Hospital, Nova Scotia, Joins the Movement! Although Exemptions are important, by Amending the Rabies Law to accept measuring circulating antibodies, a blood titer, in lieu of repeated mandated rabies boosters, this poor dog with bladder cancer would not have needed an exemption. Also this Veterinarian was not following the manufacturer’s recommendation, to only vaccinate healthy dogs! Just ignore the trolls, their goal is to keep you from reading my posts, because if you read my posts and learn how you and your pets are being poisoned, you won't buy their poisons. It's all about the money. We the people have the power and that power is OUR money and how we spend it. This is how we get them to make the changes. Speak out with your money. You're confusing trolling with vetting standards of the scientific process and full disclosure of those who are skirting their medical, scientific and legal obligations. Practitioners of such pseudoscience should be exposed for what they are, and those who skirt the laws of their respective communities, clearly fit that definition. • Dr. John Robb was arrested then sued by the owners of the franchise he operates for trespassing and providing doses of rabies vaccines at a low level that was in clear violation of policies established by the franchise. 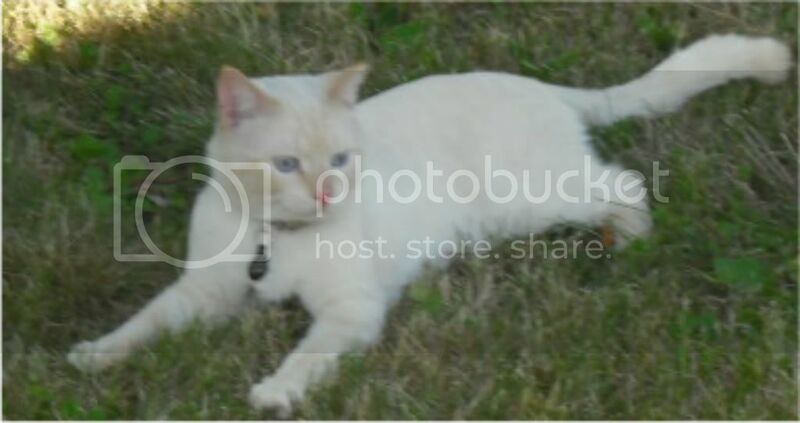 Dr. Robb, who after a 4 year battle with regulators, was given veterinary license probation. He is not allowed to vaccinate any animal for rabies for 25 years. In addition, for the following 18 months, he was required to practice under the supervision of a colleague approved by the state board regulatory agency. Bottom line... there are NO reputble randomized clinical trial DATA supporting such practice. In fact, all credible testing indicates the precise opposite. There is a mountain of peer-reviewed research the supports full-dose vaccines across breeds in order to provide proper efficacy. The reverse argument categorically can NOT be made truthfully. So spare us your use of such words as "Troll" when faced with those who would insist upon all the facts being made available. I understand that your heart is in the right place. But, that doesn't mean that your 'feelings' take precedent over long-established scientific FACTS. What you are disseminating, is reckless, scientifically innaccurate and extremely detrimental to the health of those who would take such advice (however well-intended it may be). I have no agenda, bar that of scientific veracity. I'll be the first one to acknowledge "good" science, should you some day provide actual examples. Unfortunately today, given that most of the products we buy for our pets and family have dangerous ingredients, we consumers need to do our own at home science experiments. Many pet parents today are having multiple problems with their pet's health. A simple at home experiment can tell you what is harming your pet. I did this experiment at home. I used to buy my pet's food at Wal-Mart. I've purchased the Wal-Mart brand and even the supposed better brands and still my cats would puke up their food. I started purchasing my pet's food at Trader Joe's. TJ's sells non-gmo products. What was the result of my at home experiment? My pets stopped puking up their food. … and just about all of these foods are ingredients in commercial kibbles. Unless you use side-by-side blind tested control-groups with consistently producible results, accounting for all possible variables, what you did, is in no way, shape, or form "scientific". And it's a gross disservice to those you claim to be protecting by stating otherwise. And just to illustrate the point, EVERYTHING in large enough doses is "toxic", but just because something contains poisonous or toxic ingredients, doesn't mean that it's harmful. Some poisons are chemically reactive, some are thermally reactive, others require other catalysts not present by way of normal digestive processes (e.g. - fruit seeds contain FAR more poison than you are likely to find in virtually any other processed food). Dangers from toxic or poisonous foods depend entirely upon medium delivery and quantity to be dangerous to humans and animals.